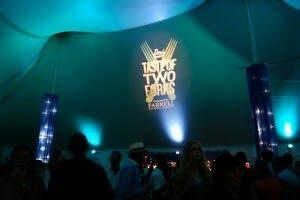 A delicious evening was sure to be had at the second annual Dan’s Tate of Two Forks this past Saturday night where 40 restaurants and 20 wineries each offered their most recognized fare. 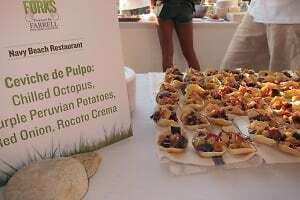 Held on Bastille Day, the celebration welcomed award-winning chef and French native Jean-Georges Vongerichten, who brought a genuine French flavor with him. Jean Georges was the host of the evening of food, food and more food, while designer Nicole Miller was named the 2012 Ambassador of "TASTE." 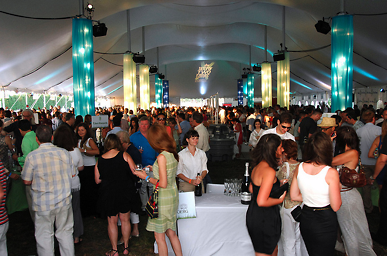 As the sun set on Bridgehampton, hundreds gathered under a huge tent in Sayre Park to witness – and taste – first hand, the best food the East End had to offer. A musical sound track to the food was provided by DJ PHRESH, while the crowd took a break from eating to play in the photo booth presented by Amstel Light. 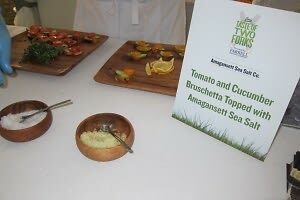 The event was hosted by Manhattan Media, recognized publisher of Dan’s Papers and producers of events throughout the Hamptons, Miami, and Manhattan. 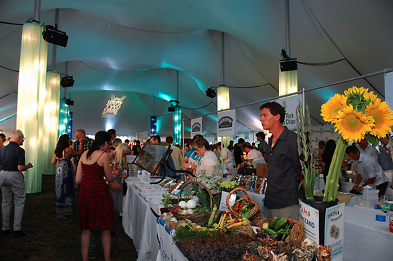 This year’s lineup of restaurants included Georgica, 1770 House, Luce and Hawkins, Race Lane, Nick & Toni's, Southampton Social Club, Cittanuova, Southfork Kitchen, 75 Main, Amarelle, Beaumarchais East Hampton, Navy Beach, Rumba Rum Bar, Smokin' Wolf BBQ and many more. Although we were too stuffed to hit the after party, guests with VIP tickets headed to Georgica after the long eating event to dance and indulge in even more drinks.